Jaymini Bedia is a textile designer based in East Anglia, specialising in woven fabrics for interiors, fashion and accessories. Her passion for vibrant colours, scrumptious textures and beautiful hand-woven cloth inspired her to set up her own company, which takes a fresh perspective on the traditional craft of hand-weaving. Jaymini trained in Woven Textiles (BA Hons) at Loughborough University and graduated in 2012. She received a scholarship from the Worshipful Company of Weavers in 2011, and was highly commended in the Clothworker’s Foundation Award by the Bradford Textile Society in 2010. She worked on placement at The Gainsborough Silk Weaving Company during 2011. Jaymini is passionate about bringing old skills back to the forefront and educating people about the weaving process. When she is not designing new collections or working on exciting projects with clients, she holds weaving workshops and demonstrations in her local community. 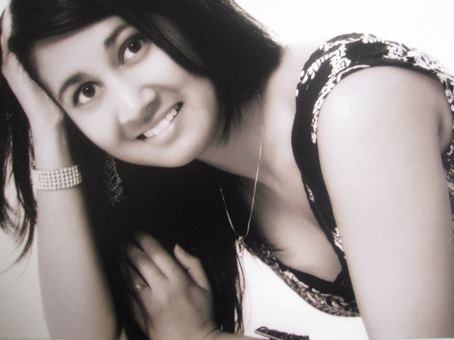 Jaymini has always had a passion for dancing and loves teaching regular Bollywood Dance Classes in Colchester. She regularly visits schools and holds workshops and performances at community events. When she is not weaving or dancing, Jaymini can be found cooking or out-and-about visiting exhibitions and taking photos to inspire future collections!